Technical Tip: Make sure you set the jumper switches. 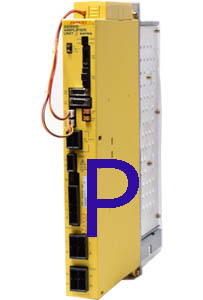 All A06B-6093-H114 Fanuc servo amplifiers carry a warranty and have been tested by us. We can offer same day and next day delivery through most of UK / Europe and some parts of the USA. Type SVU80 with FSSB Interface (fiber optic) Fanuc beta amplifier unit, input voltage 220-240 volts, output rated at 15 amps, 240 volts. internal boards are A20B-2002-0642 and A16B-3200-0291. Options to buy are same day service exchange, or repairs on this A06B6093H114 Fanuc beta servo amplifier (may be badged as Yamanashi) in stock for same or next day delivery. We have a growing inventory of over 35,000 OEM FANUC parts in stock ready for immediate worldwide delivery. By utilizing our services, you can save up to 60% off OEM prices. Request a quote today and one of our independent FANUC UK customer service team will assist you.